WASHINGTON—Unsealing the dossier after nearly 50 years, the Federal Bureau of Investigation declassified former director J. Edgar Hoover’s extensive file on the Munster family, sources confirmed Monday. 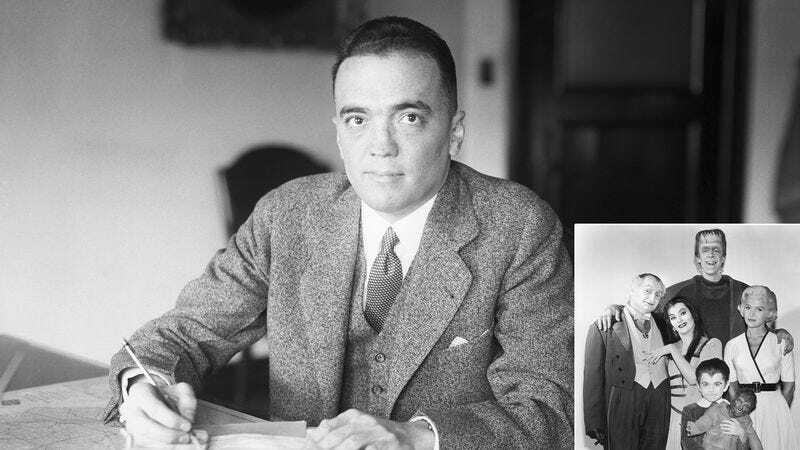 “These 3,600 documents reveal that the California monster family were of significant interest to J. Edgar Hoover during his extrajudicial intelligence-gathering campaigns,” said Andrew Jewett, an American History professor at Harvard, adding that from 1964-66 the FBI chief had obtained numerous tapes of the Munsters and instructed federal agents to transcribe all conversations of the 1313 Mockingbird Lane residents. “According to multiple letters to officials, Hoover suspected that Munster family patriarch Vladimir Dracula or ‘Grandpa’ was a communist working in his dungeon laboratory to develop chemical weapons to use on American soldiers and civilians. He was also convinced they were using the tower at Munster Mansion to send coded messages to either the Soviets or radical dissident political groups.” Several documents also reportedly showed that Hoover had directed FBI agents to follow the Munster Koach and to recruit niece Marilyn Munster as an informant.